This is the second part of my pipeline management tips. In Part 1 I talked about how to add more and larger deals into your pipeline. 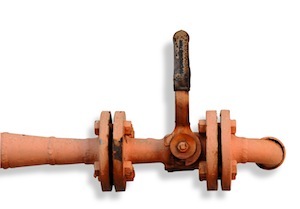 There are two more things you can do to improve your pipeline metrics. How awesome would it be if one out of three prospects ended up as a customer instead of one out of 10? The good news is that it can probably be done. The bad news is that it certainly will take time, and lots of personal practice. 7. Work with the right people. Working with final decision makers and influencers is like day and night. Decision makers are harder to reach but spend less of your time, influencers are easier to reach but end up using up all of your time. In my experience you’ll close much more talking to decision makers rather than influencers. And if you don’t get through to right people, you might need to work on that skill, or look for different prospects. 8. Go before you’re invited. I hate tenders. I really do. In case of tenders a potential customer has usually studied all the alternatives, and more or less made up their mind already. It takes enormous effort to change people’s minds when they’ve already formed their opinions. I’ve been much more successful when helping people form these initial opinions, so my practice has been to talk to prospects on my own schedule. 9. Stop working with wrong prospects as early as possible. Shamus Brown has put it well: You should only spend your time working with 70% of people you believe will buy from you. It’s more about searching for and finding opportunities rather than convincing. Figure out an ideal client profile and drop prospects with a non-buyer pattern as soon as possible, and keep searching for prospects with a better fit. 10. Make an effort to get to know your prospects’ businesses better than any of your competitors do. I once worked with a man who could close 50% of the deals he worked with. The reason why his customers bought from him was something along the lines of: We felt that even though your price was higher, you understood what we need much better, and the solution you offered also showed that. Every time I wanted to increase my own win rate, I came back to this simple sentence. I’ve formed a strong opinion that it’s up to both prospect AND me to determine how long a decision to buy should take. After all, my profit (and salary) depends on whether I close a deal in a week, three months or a full year. 11. Learn the decision process of a company that buys from you. It is very difficult to go faster than the “regular process.” However, it’s a matter of personal discipline to stop wasting time on your own end. Stop assuming and start asking along the lines of “What should we do next to take this further now?” Then listen and take notes. Step-by-step, it’s possible to discover how a particular company decides, and start noticing patterns how decisions are usually made in businesses of any industry. 12. Reduce the human tendency to “wait” and “think about it.” Especially toward the beginning of my career I often feared losing a potential sale, so much so I didn’t dare to find out whether our offer was still a viable candidate. But the more experience I gained, the less time I gave for myself, as well as prospects, to decide whether to proceed to the next step. If someone said they needed to “think about it,” I responded with “Sounds good! Could you share what you want to think about exactly?” or something similar. If a prospect said they wanted to consult with a colleague or boss, I made it my business to know when that conversation was scheduled to happen. I could then continue with “So, if I called you tomorrow late afternoon, you’d be done with discussing and things are clear regarding the next step?” More often than not, I got my answer then, not in one week. 13. Recognize lost deals early on. If a once promising prospect has stayed in the pipeline for a long time, you’ve probably lost them. If we really like something, we buy it quite fast, even in a corporate setting. If we are not sure, then we hang on and try to see if we start liking (or needing) it more or not. If you can’t move the prospect to take the next step, it’s probably a good time to consider declaring the deal lost. Then you can focus your attention and time on prospects whom you can win. Last but not least: Improving these metrics is impossible without measuring them first. And this is another thing I love about working with sales funnel management – numbers show how good of a salesperson I am, and what sort of results I’m capable of producing. One thing is certain: There are numerous ways to improve on these metrics, and be happier with the results.